Trade secrets are one of the hidden gems of intellectual property. Copyrights protect original works of authorship, patents protect tangible inventions and methods, and trademarks cover brands in the market. But, trade secrets--these are a special kind of creation of the mind. Trade secrets are just that--secrets. Whether a method for creating a product, or the recipe for a secret ingredient, trade secrets are often the best and worst of IP. 1. Your craft is protected and can't easily be replicated. Like the special sauce at McDonald's or the secret recipe of Coca-Cola, trade secrets are to keep your product from infringement simply because it's a secret. Because there is no federal or local registration for trade secrets, the cost is determined by what creators do to keep the secret under wraps. These costs can include password protections on systems bearing the secret, and training employees on how to protect it. This can definitely be a pro and a con. 3. There is no time limit on the secret. Unlike copyrights and patents, which expire after a predetermined time, trade secrets are protected as long as they remain a secret. 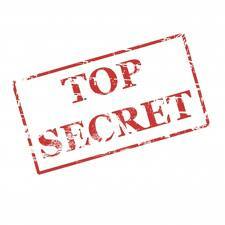 Again, since there is no way to register your trade secret, it is up to you how long it remains a secret. 4. You must protect from within. Trade secrets are great for being unique in the market, but sometimes keeping the secret is the tough part. Properly training and preparing employees is essential to keeping the secret. The government can't stand behind you on what your secret is and fighting infringement. Having agreements for your employees to sign, with provisions holding them accountable are a minimum for protection. We can't stress enough the importance of using intellectual property of some sort to protect your brand and products. With a variety of options, be sure to figure out which is best for you.